Select Upload > Files or Upload > Folder. Select the files or folder you want to upload. Select Open or Select Folder. Select Upload, select the files you want to upload, and select Open. If you don't see Upload > Folder, create a folder, and then upload the files to that folder. Note: If you have the OneDrive sync client installed, you can also upload with File Explorer. 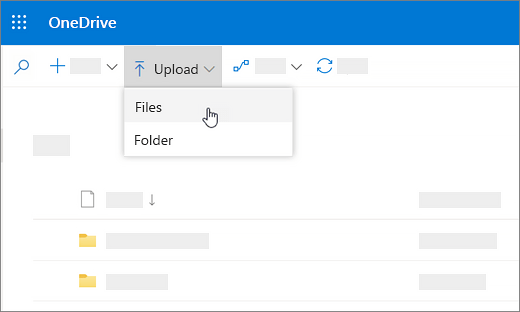 Select the files you want to upload, and drag them to OneDrive in the File Explorer Navigation pane. 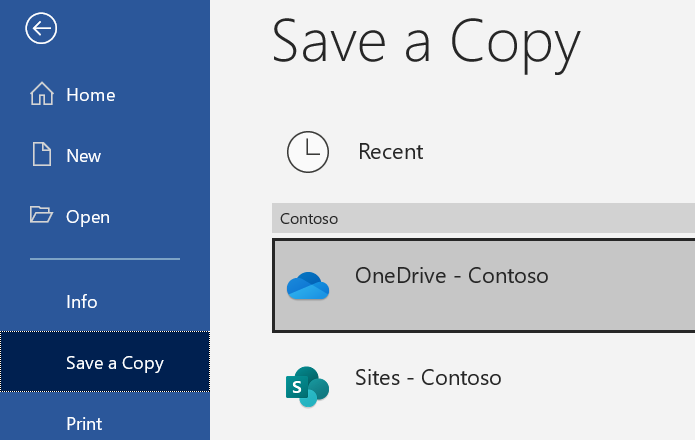 Select File > Save As > OneDrive - [company name] to save a work file to OneDrive. Save personal files to OneDrive - Personal. Select File > Open and then select OneDrive, to open a file saved to OneDrive. Note: Requires Office 365, 2019, or 2016.